TAHOE/TRUCKEE, Calif. – Volunteering is the perfect way to demonstrate you think Truckee is a great place to live. Get involved in service to the community. You have special skills and experience to offer. If you’re interested in volunteering, Hands on Tahoe will help you find the right opportunity. Take time to visit http://www.handsontahoe.org and explore an interest or find a passion through giving. Hands On Tahoe is a project of the Truckee Tahoe Community Foundation. 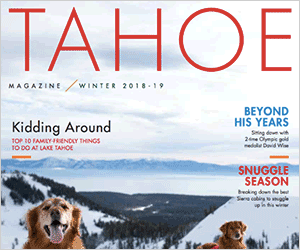 The Hands On Tahoe website exists solely for connecting prospective volunteers with local nonprofit organizations. The website lists more than 115 current opportunities and 30 nonprofits. Sierra Senior Services, the Humane Society, Truckee’s Family Resource Center, and the Tahoe Forest Hospice are just a few organizations looking for help. Nonprofit organizations in need of volunteers may list their outfit with Hands On Tahoe. Visit http://www.handsontahoe.org, and complete the form on the nonprofits link. Possible volunteers who match will be notified after the position is posted. Volunteers may search by “all” or preferred criteria to fit specific interests and skills. Or register as a volunteer to receive notices for matching nonprofits. 1. Big Brothers/Big Sisters of Nevada County is looking for volunteers to mentor kids in Truckee, Kings Beach, and the North Tahoe area. 2. Provide foster care for dogs and cats residing at the Humane Society of Truckee-Tahoe. 3. Project MANA is looking to fill two positions: video design and editor, and website and database updating. 4. Tahoe Forest Hospice needs volunteers to provide support to their patients and their families. 5. Truckee Donner Historical Society could use photo archivists, research historians, a publicity person, and a board chair. There are plenty more positions to fill. Visit http://www.handsontahoe.org for information.